You must make reservations at least 5 minutes in advance of the time at Ginger - MGM National Harbor. 12 seat private dining room available. Please contact us directly for more information. 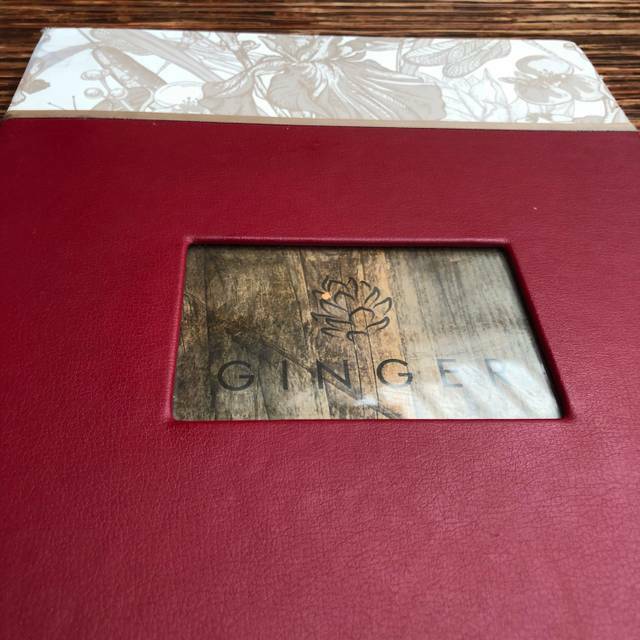 Ginger is a solid restaurant in terms of food and drink options, but the service leaves a lot to be desired. We were having a birthday celebration and they charged a $25 cake fee, which was excessive. They also took away our menus before we were finished ordering and took food away from the table before we were done eating. And then the waitress made a comment about her tip that was inappropriate. Tipping is not mandatory and if the service is not great or even good, they shouldn't expect a great tip. Went with friends after the Tyler Perry play, had a reservation. Our server was a little stand offish, we had to ask for everything normally provided once you are seated. The good was delicious and the portions are nice. Food was excellent. It was a little pricey but that service and food were both delicious. Nice restaurant, good atmosphere, food was not as good as I expected. I like spicy and the waitress thought we all wanted no spice like one person in my party. I will try it again and hopefully it comes spicy. Service and atmosphere were perfectly wonderful. The food? A huge letdown. The Taiwanese chicken was lacking almost any vegetable and tasted extremely “meh.” The fried tofu appetizer? I’ve had fried tofu across Asia and elsewhere, and these were just hard, tasteless little bricks — with a dipping sauce that is waaay off and just not tasty. Just really disappointing, sorry to say. Really not impressed. It seems more like a glorified take out place. The restaurant was actually out of chicken so the meal we ordered was short 1 of the 3 ingredients. Probably won’t return. Food was ok. Service was excellent. Way overpriced. I get it, it’s the MGM but there was nothing special our memorable about a 35 plate of chicken. 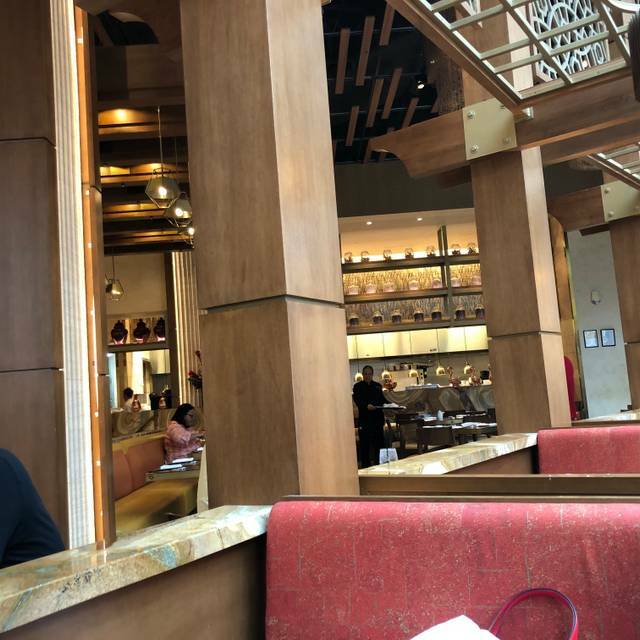 Ginger is a great restaurant right outside the Casino floor of MGM National Harbor! 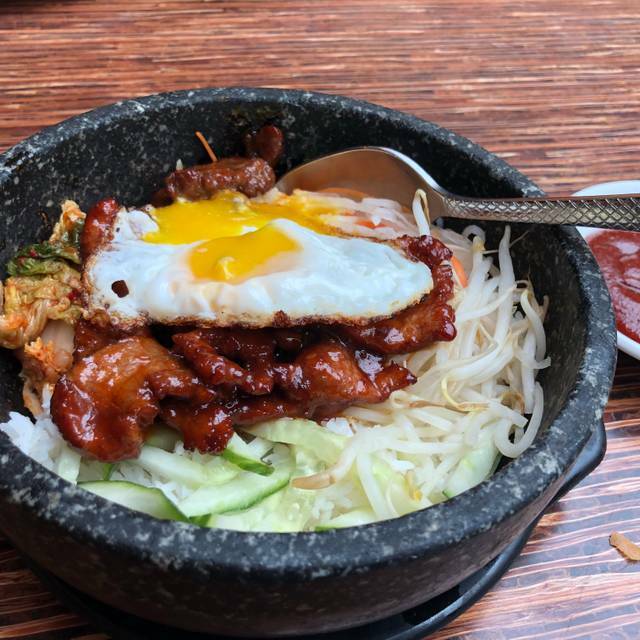 The food was outstanding as we had the egg plant, bimbimbop, sweet and sour chicken and lettuce wraps! The cocktails were great too having the lavender, jasmine, and cucumber specialty drinks! Friends, my wife and I went there for dinner prior to the Mariah Carey Concert there at the theater! Thank you Ginger for another great experience! My sister and I took our mother to lunch for her 82 birthday. I noted this in our reservation and the waitress, without any prompting, brought us a lovely Chinese ice cream with a candle in it. My Mom was so thrilled and what a nice special touch to our lunch. Thank you Connie for making her feel special. Third time dining at Ginger. Twice before a show. My overall experience was great. The wonton noodle soup my favorite. Food and service were both great. The staff were very attentive. Watch hostess....tried to sit us in an empty restaurant by the kitchen, even with open table reservation. I spoke up and got a lovely table in the middle of the restaurant. Server, Song, was excellent. Nice, and had great suggestions for us. We ordered the beef chow fun and it was good but to me lacked flavor so I added chili sauce. Also ordered shrimp with walnuts which was very good. Did not like the mayo served with it so she suggested dumpling sauce and it worked. Manager came to check twice which was really good. It was a nice evening and enjoyed our two dishes. The food was extremely bland. I had Korean, my niece had Thai and we both had dim sum. Everything was tasteless and cold. The price for two was $90 minus tip. The Asian food at the mall is better. Although the service was excellent, it did not make up for the average food. 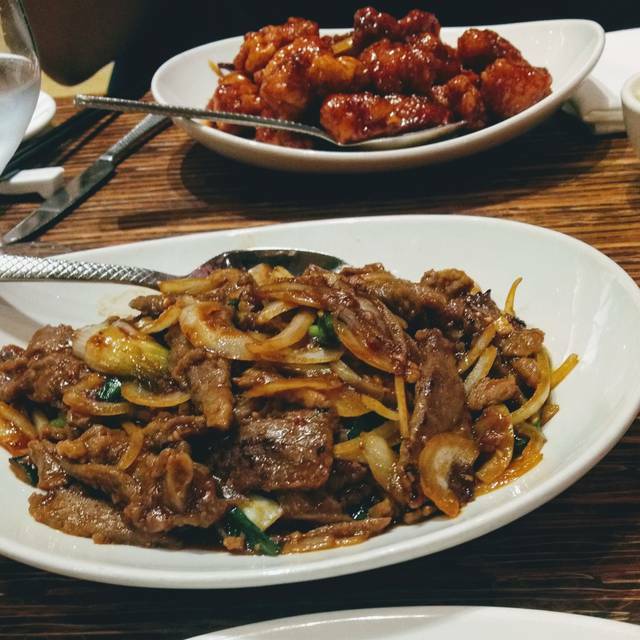 The quality of the food was like your average take-out joint. The food dishes are definitely overpriced. 2nd visit. Still impressed, the staff is well orchestrated with involvement from managers to bussers. Good quality is superior. Great people watching! Janet our waitress was the best. We will go back to go see her again. Great venue and ambiance. Service was amazing. They were really attentive and friendly. The restaurant is very clean as well. The only cons are the lobby right beside the restaurant plays music and the restaurant does too so all the different sounds get annoying fast! Although the food came out fast, it lacked seasoning so it was just okay. Dining here was a wonderful experience. Good service, very attentive to our dining needs and experience. Good food, presented well and tasty. In a highly visible location near the Casino. Overall, great place to eat prior to seeing a show at the MGM. This was my second time eating at Ginger. One thing that I noticed, my entree (basil beef fried rice) was not as spicy as the first time, which was surprising for a basil dish. My guest (5) also enjoyed their dish. This was a great way to start our night. Had a great time dining with my family. My 3 year old was even able to stay seated and enjoy his food. 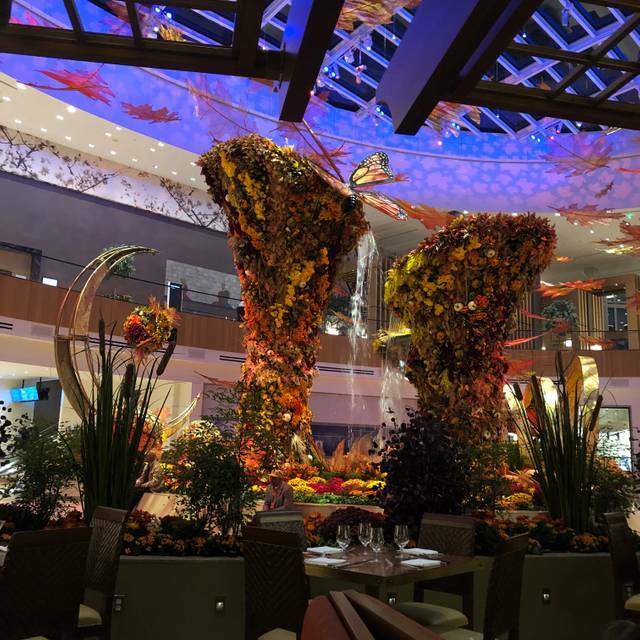 Was able to see the light show in the atrium from restaurant. Ginger serves a lot of food and would be best served family style. Awesome service and great food!! Even though we were late (because of traffic) they were very gracious and honored the reservation. 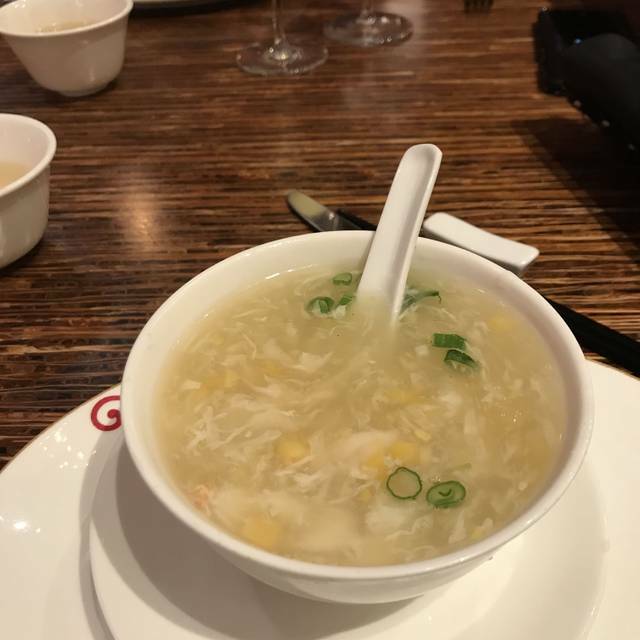 The service was quick and the food was excellent! Fast, friendly service. Busy bit welcoming atmosphere. The employees were quite nice. I was running super late and they saved my table for me. Food was overpriced, though. They managed the large crowds well. 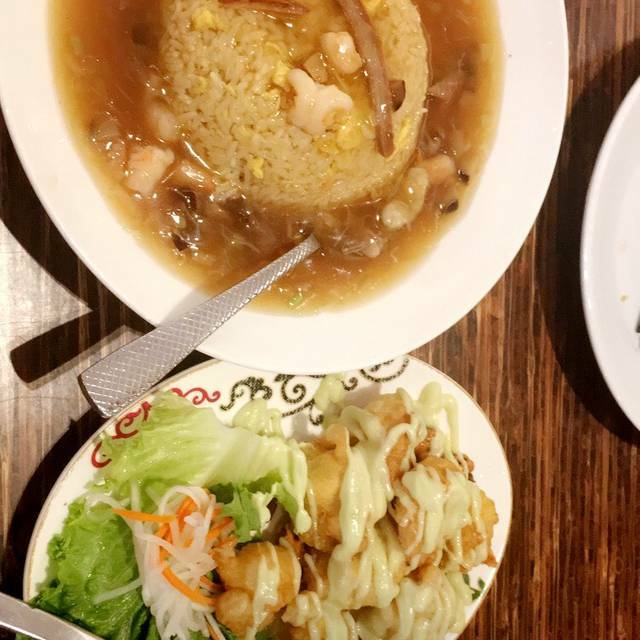 This was a really disappointing experience, the food was mediocre at best, the waitress acted like we had never had oriental food. The food came out rushed, we had not finished our appetizer when the entree was served. 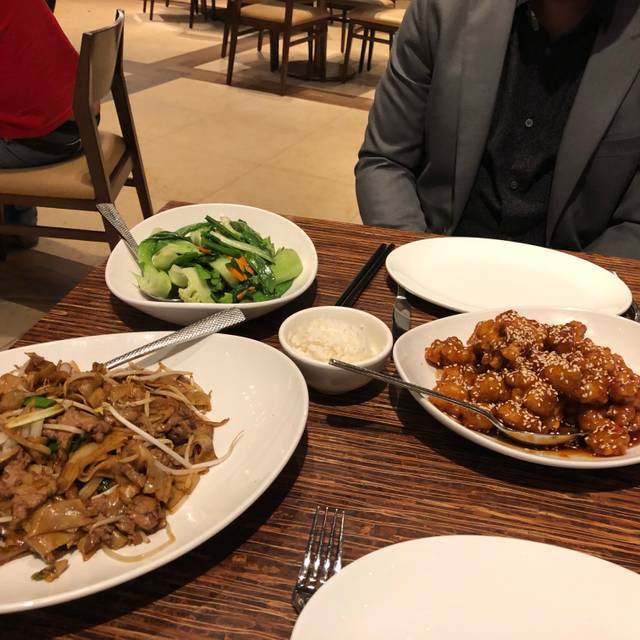 Make sure they check off your OpenTable reservation......Other than that, one of our go to spots pre-concert at MGM Theater. Servers are also attentive & spot-on! Good food. This was a perfect lunch for three friends! 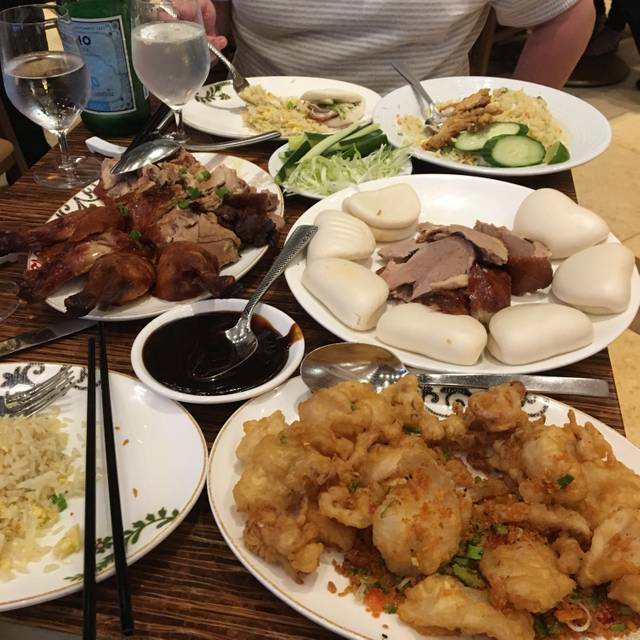 The dim sum came in threes and the entrees are family style. This gave us a chance to try out a lot of dishes and they were all delicious! Excellent service. I felt like I was amongst family...very attentive and genuine. Ginger is my “go to” restaurant, service, food, and drinks are consistently excellent!! My favorite eatery in MGM. The food was so delicious I must say, the atmosphere was great and I do look forward to go back anytime am in Maryland.